T-Mobile’s latest moves have certainly gotten the industry talking. The latest to respond is Sprint’s Virgin Mobile unit, which is offering $100 to any T-Mobile customers who want to switch. 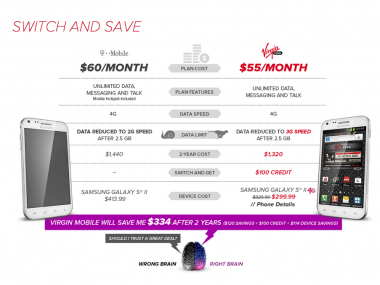 To be eligible, T-Mobile customers need to bring their phone number over to Virgin Mobile. The promotion comes as T-Mobile is itself moving closer to the prepaid model, ditching phone subsidies and long-term commitments. 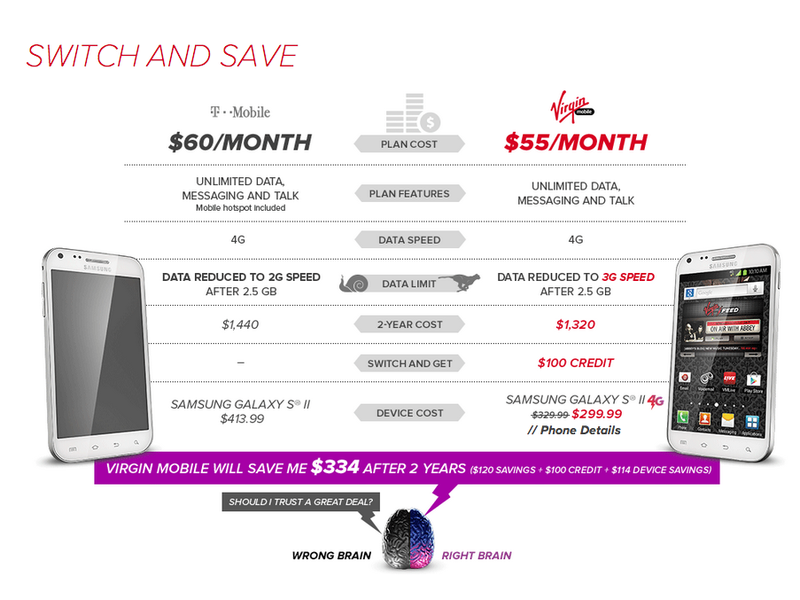 Virgin, for its part, is making the case that its prepaid plan beats T-Mobile’s new no-contract offers.